Rapid Document Insurance Agency offers a wide selection of different trucking insurance to make sure that you are protected from the unexpected. As a Truck Insurance Agency in Downey CA, we offer many forms of insurance such as Truck Physical Damage Insurance and Local Trucking Insurance. 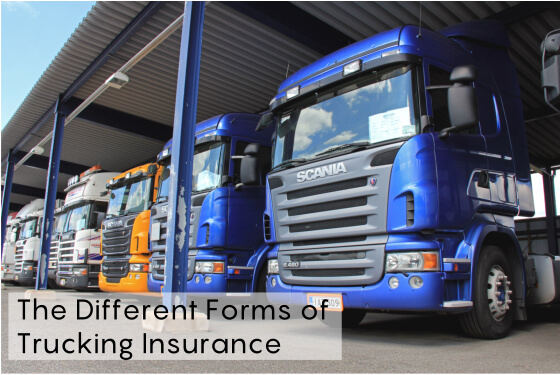 All of these forms of insurance serve a particular purpose and it is important to know how these can help you. This is the most basic trucking insurance that you can get. It makes sure that you and your trucks are well protected in the event of a vehicular accident. If any damage occurs to your vehicles, we will be able to pay a large portion of the cost through our primary liability insurance services. General liability is a more comprehensive form of trucking insurance that protects your trucks while they are in transit, as well as your property. This means that any damages that occur on or off your property will be included. This insurance will also help cover the costs of any bodily injuries that your truckers or a third party may have received during an accident. This form of insurance protects your trailers, trucks, and property in the event of vandalism, natural disasters, explosions, fires, collisions, and more. This insurance will also cover any property that is inside of the truck as well. We also cover other charges such as business interruption losses and even towing services. When you agree to transport any kind of cargo, you are also accepting responsibility for the cargo. This means you are liable to any damages or missing items. Through motor truck cargo insurance, we will cover you for these losses. If you are using trailers that you do not own, then it is important to have trailer interchange insurance. This will protect you from any damages that may occur to the trailer while you are using it. Make sure you are well protected against the unexpected! For more information, please feel free to visit our website www.rapiddocuments.com today. This entry was posted in Insurance and tagged Forms of Trucking Insurance, Insurance Agency, Insurance Services, Truck Insurance, Truck Insurance Services, Truck Insurance Specialist. Bookmark the permalink.